Breast cancer is the uncontrolled growth of cells in the tissues of the breast. This uncontrolled growth of breast cells may take place in any part of the breasts. It can either be benign or malignant. Benign tumors go slowly and do not invade other cells and tissues. Malignant tumor can spread to other parts of the body if left untreated and unchecked. The cost of Breast Cancer Treatment in India starts from $3000 in India. What are the causes of breast cancer? How to diagnose breast cancer? What are the breast cancer treatment options available in India? Why choose India for breast cancer treatment? Chemotherapy and cancer medicines are expensive. But, compared to the western countries, India has less expensive and low priced treatment for cancer patients. The cost of breast cancer treatment in India varies with cities and hospitals. Every hospital has its own treatment facilities, surgeons, and infrastructure. The cost of facilities charges and tests add up to the cancer treatment cost. India has all the facilities of helping overseas patients with the most affordable breast cancer treatment. High-quality breast cancer treatment is available in India and it is at par with what a medical tourist from abroad can avail in the US and the UK. But the benefit of choosing India over any other Western country is that treatment is available at a much lower price. 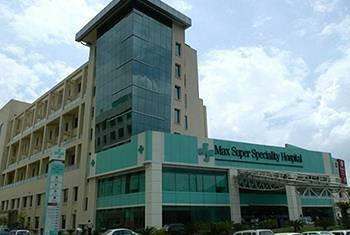 Extensive imaging facilities, diagnostic services, CT technology, and advanced MRI are available in many Indian cities. 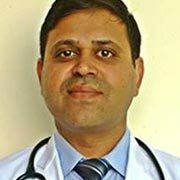 The different techniques for breast cancer surgery and treatment are available at 80 percent lesser price than the UK and US rates. Even if travel and lodging expenses of patient’s family are taken into account, the cost of breast cancer is much lower. Here, have a look at cost comparison. The foreign countries from where patients often travel to India for cancer treatment include the UK, US, Afghanistan, Australia, Tanzania, Nepal, Lanka, Kenya, Zambia, Zealand, Ethiopia, Canada, Uzbekistan, Uganda, and Nigeria. It should be noted that the cost of cancer treatment in India is inclusive of stay in hospitals, surgery, consumables, medicines, airport transfers and free stay of the companion. Breast cancer is the uncontrolled growth of cells in the tissues of the breast. This uncontrolled growth of breast cells may take place in any part of the breasts. Mostly, it affects women but males can also get breast cancer. It is the second leading cause of death among females in India. The cancer of the breast can either be benign or malignant. Benign tumors go slowly and do not invade other cells and tissues. The latter type of breast cancer can spread to other parts of the body if left untreated and unchecked. They proliferate quickly. Ductal carcinoma in situ (DCIS) is non-invasive breast cancer. It starts inside the milk ducts and it hasn’t spread to any normal surrounding tissues. 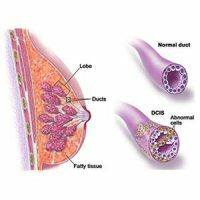 Although DCIS is not life-threatening, but it increase the risk of invasive breast cancer. 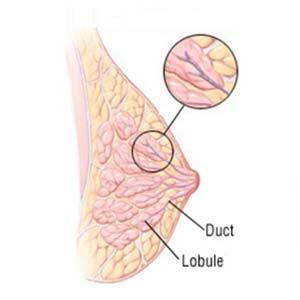 In Invasive Lobular Carcinoma (ILC), the cancer breaks through the wall of the milk-producing lobule and begins to invade the tissues of the breast. 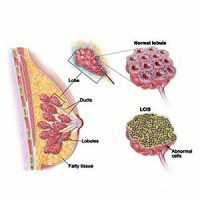 Lobular carcinoma in situ (LCIS) is referred to when the abnormal cells start growing in the milk-producing lobules and does not spread to surrounding tissues. It increases a person’s risk of developing invasive breast cancer later on in life. Tubular – The tumor are made up of tube-shaped structures called tubules. Mucinous – The tumor is a soft, fleshy mass that resembles to medulla. Papillary – The tumor is made up of cells that float in pools of mucin which is a key ingredient in mucus. Cribriform – The tumor has a well-defined border and is made up of small, finger-like projections. Medullary – The tumor have distinctive holes in between the cancer cells which making it look like Swiss cheese. In ICC the cells look and behave like normal, healthy breast cells. Inflammatory breast cancer is a very rare and aggressive disease in which lymph vessels in the skin of the breast are blocked by cancer cells. In this type, the breasts often looks swollen and red, or inflamed. Inflammatory breast cancer tends to grow rapidly, often in a matter of weeks or months. If a woman notices any of the symptoms of breast cancer, then she is possibly suffering from the disease. Not all symptoms are always visible to the patients, and this is the reason why breast cancer screening and diagnosis is important. Those who can afford to screen should opt for it every two years to check that there are no possible signs of the disease. There are a few symptoms of breast cancer and cell abnormality that should be immediately screened, tested and diagnosed. More than 85 percent of the breast cancer cases occur because of some genetic abnormality. The abnormality is inherited in 5 to 10 percent of the cases, while in a large majority the abnormality develops due to natural wear and tear of life and with age. Those whose close family members such as sister, maternal grandmother, or mother have had a history of breast cancer or any other cancer are more susceptible to getting the disease. However, extensive research has found that many breast cancer cases are not attributed to genetic problems. In such cases, the cause is sometimes hormonal. Breast Cancer diagnosis is routinely conducted at all multispecialty and cancer hospitals. The tests such as biopsy, mammography, and ultrasound help confirm whether the patient is suffering from cancer or not. These tests help confirm the stage and grade of the tumor as well. Once the cancer is confirmed, the doctor may order a few blood tests and the positron emission tomography (PET) scan to confirm whether the cancer is restricted to its place of origin or has spread to other parts of the body. Based on the diagnosis made, a suitable treatment plan is tailored according to the needs of the patients. 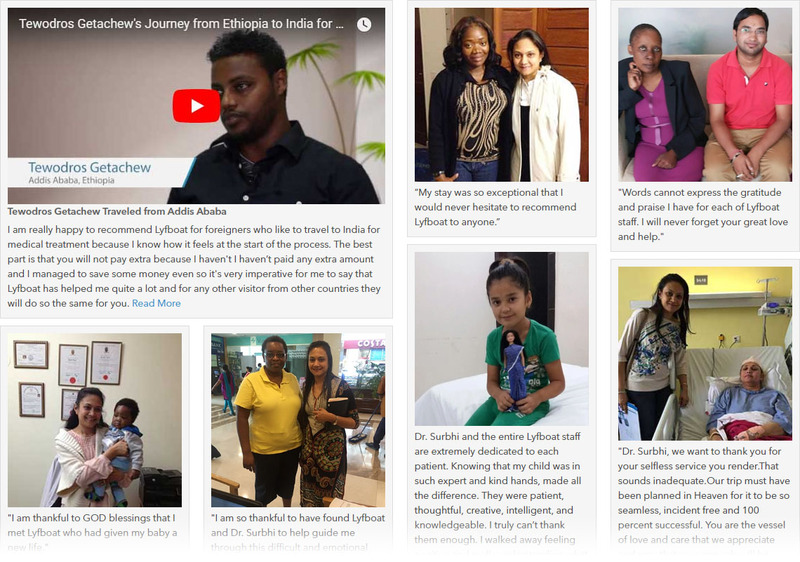 How can Lyfboat assist you getting Breast Cancer Treatment in India? Lyfboat is a free advisory platform; we do not charge any fees from patients. In fact, we negotiate the price that Indian hospitals offer. In some cases we are able to reduce the cost by negotiating upto 20% of what Hospitals generally offer. 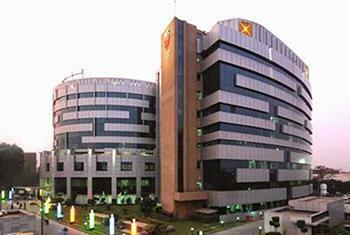 We advise the best treatment from the top hospital/surgeon at best price. One may hear certain words that are used for describing the different stages of breast cancer, which include local, regional, and distant. Local breast cancer term is used to describe cancer in the breast. Regional breast cancer indicates that the lymph nodes in the armpits have been affected as well. Distant breast cancer is spread to other parts of the body as well. In medical terms, breast cancer is best categorized as Stage 0, Stage 1, Stage II, Stage III and Stage IV. Stage 0 is the nascent stage and is defined as non-invasive breast cancer. There are no signs of cancerous or non-cancerous abnormal cells found in any part of the body, including the breasts. Stage I is the preliminary stage when cancer cells have started to grow inside the breasts but they have not spread out to any other part of the body. Typically, no lymph nodes are involved in this stage. Stage II is that stage where no tumor is found, but cancer breaks out in the lymph nodes. In this case, the tumor usually measures 2 centimeters. The tumor can be larger than 2 centimeters but is definitely smaller than 5 centimeters. Stage III is described as invasive breast cancer. The tumor measures more than 5 centimeters in this case. cancer is diagnosed in four to nine axillary lymph nodes situated near the breastbone. Stage IV is the fatal stage where cancer has spread beyond the breast to other parts of the body into other organs like brain, liver, lungs, skin and lymph nodes. The words ‘’metastatic’’ or ‘’advanced’’ are used to describe the Stage IV. Stage IV cancer may be the recurrence of previous breast cancer or it may be diagnosed for the first time. Lumpectomy – It is the elimination of abnormal breast tissues by retaining the rest of the portion of the breast, while mastectomy is the complete elimination of the entire breast. Mastectomy – It is the complete removal of the affected breast. It includes removal of the fatty tissue, areola, some skin, ducts, and lobules, in addition to the nearby lymph nodes and some chest muscles. Lymph node removal – It involves the removal of the sentinel node and the lymph nodes from the armpit (if the sentinel node is affected by cancer cells). Chemotherapy – It administered either before or after breast cancer surgery. It involves the use of specific drugs to kill off cancer cells. The use of chemotherapy may depend on the stage and the location of cancer. Different doses of chemotherapy drugs are administered through injections directly into the veins or with the help of IV solution or pills. The motive is to kill the cancerous cells and impede further relapse. Hormonal therapy – It is administered on PR-positive and ER-positive types of patients with breast cancer. The idea is to give hormonal therapy medicines so as to obstruct the action of hormones on the cancer cells and stop its further proliferation. Radiation therapy – It is often done post-surgery to kill the cancerous cells that are still left. Radiation therapy is done in combination with chemotherapy for the treatment of invasive breast cancer. Targeted drug therapy – It is the most advanced types of treatment for breast cancer. It is expensive but result-oriented. Targeted drug therapy is different from chemotherapy wherein certain characteristics of the cancer cells are targeted. For example, the presence of HER-2 receptors on the surface of the cancer cells in case of breast cancer. These cells tend to grow abnormally and so are specifically killed by targeted drug therapy. Unlike chemotherapy, targeted drug therapy does not kill healthy cells in the body. Questions about the Implants? Let us know. 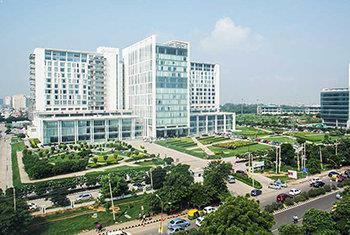 India houses some world-class hospitals for breast cancer treatment. These hospitals offer state-of-the-art treatment and diagnostic facilities, which includes the use of high-end and the latest technology. The affordable mammogram cost and breast cancer treatment cost charged by the hospitals makes patients come to India for medical treatment. The cost is just one-fifth of what it costs in other countries, like UK, US, and UAE. The facilities offered at the breast cancer hospitals adhere to national accreditation standards and that of international hospitals. 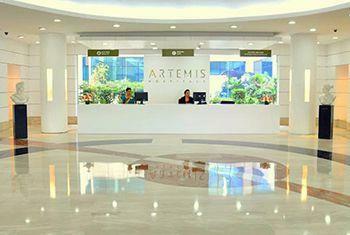 The staff employed at the top hospitals for breast cancer treatment in India are fluent in English. The doctors understand the needs of the patients quite well. 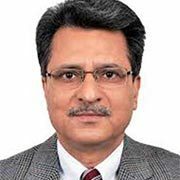 Top doctors in India make use of third generation technology plus medical techniques for patients. 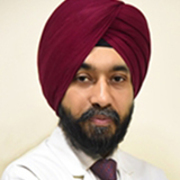 A loving and compassionate environment is the unique selling proposition of Indian hospitals. 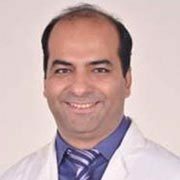 The best hospitals boast of the most eclectic group of surgical oncologists combined with the medical team. The surgeons possess the expertise and skills required for solving simplest to the most complicated cases. Q: What are the test rates for breast cancer diagnosis in India? The diagnosis test rates depends on the type of test being conducted and the city and the hospitals where you choose to get it done. It may vary from one facility to the other. For example, a PET scan may cost around $300 in a metropolitan city. Q: What is the breast cancer survival rate in India? Q: How can breast cancer be avoided? You can prevent breast cancer by limiting your alcohol intake, maintaining physical activity rates and weight, avoiding exposure to smoke and radiation, and limiting hormone therapy. New mothers are encouraged to breastfeed their babies to prevent the risk of breast cancer. Most of the breast cancer cases due to inheritance occur because of abnormalities in two genera – BRCA1 and BRCA2. The job of these two genes is to suppress tumor growth in the breast. However, in case of an abnormality, these genes may lose their effectiveness against tumor growth. Q: How common is breast cancer in India? According to the latest breast cancer statistics in India, more then 1,55,000 in a year are diagnosed with breast cancer. Less than half of them die of this condition. The 2012 breast cancer statistics indicate that more than 1.7 million women around the world are affected by this condition. According to WHO breast cancer statistics, it is the most frequent cancer among women. Q: What is the breast cancer chemotherapy cost in India? The chemotherapy cost depends on the stage and grade of cancer being treated and the dose administered to the patient. It may range between $100 and $300 per cycle of treatment. Q: How much does radiation cost? The total cost of radiation therapy in India depends on the duration of therapy and the radiation dose administered. It may cost anywhere $50 and $200 per cycle of treatment, depending on these factors. Q: What is the cost of breast cancer treatment per person? The cost of breast cancer treatment may vary from one patient to another because of the variation of stage and grade in cancer and the treatment modalities used for the elimination of cancer cells. 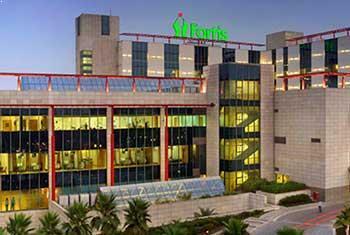 There are several multi-facility and super-specialty Indian breast cancer treatment hospitals. All types of cancers are treated through application of cutting-edge technology. The main goal is to focus on the specific needs of patients and design a treatment procedure suited for the particular patient. 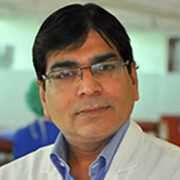 India is globally renowned for its brigade of highly experienced oncologists. Each breast cancer treatment hospitals in India has a team of onco-surgeons, radiation oncologists, and medical oncologists. Each type of oncologist listed above performs a separate set of duties religiously. A majority of breast cancer doctors in India are trained and educated from abroad. Additionally, they hold several certifications from some of the most prestigious organizations. 4.1 average based on 32 reviews.